Google has just launched Google+ Events, a comprehensive online event tool integrated into the Google+ social network and other Google services (intro video). 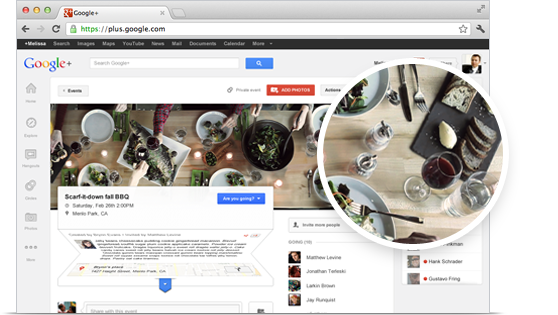 Google+ Events is designed to augment a real world social event before, during, and after. It starts with invitations with custom themes and the option of YouTube video embeds (video). The invitations will also sync with Google Calendar. During the event, attendees can upload and share photos live using the Party Mode feature (video). The host can even display a live slideshow of event photos. And afterwards, the photos are automatically assembled into a collection for posterity (video).